The last 48 hours has been quite a whirlwind of events and emotions. When in the Shakespearean play All’s Well That Ends Well the Countess bids her son farewell she provides him with sound advice as he sets out on his journey to join the royal court of Paris. She tell him to “love all, trust a few, do wrong to none”. A great motto to live by and certainly one that I think very much covers how I felt before, during and certainly after, a very emotional trip to Calais last weekend. So we did. The following are just a few very personal perceptions from the day. 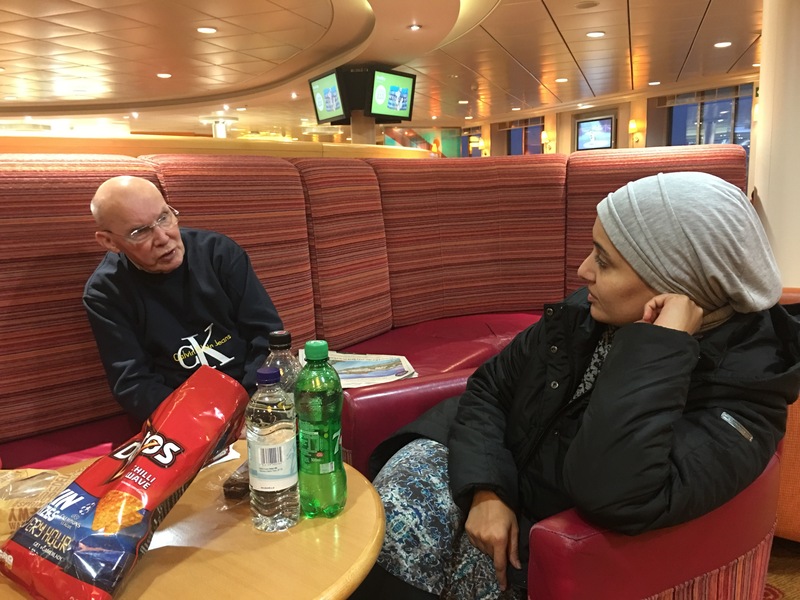 Last Friday evening, a group of six individuals, Uzma, Chris, Sedky, Rizwan, Amir and myself (most of us from the quiet county town of Stafford), headed down to Dover ready and eager to catch the 7.30am ferry to Calais on Saturday morning. Thanks to the sterling efforts of some amazing volunteers and supporters, a phenomenal amount of donations of food, tents, duvets, sleeping bags, toiletries, books and medical supplies came pouring in as soon as people heard of the trip we were about to embark on. 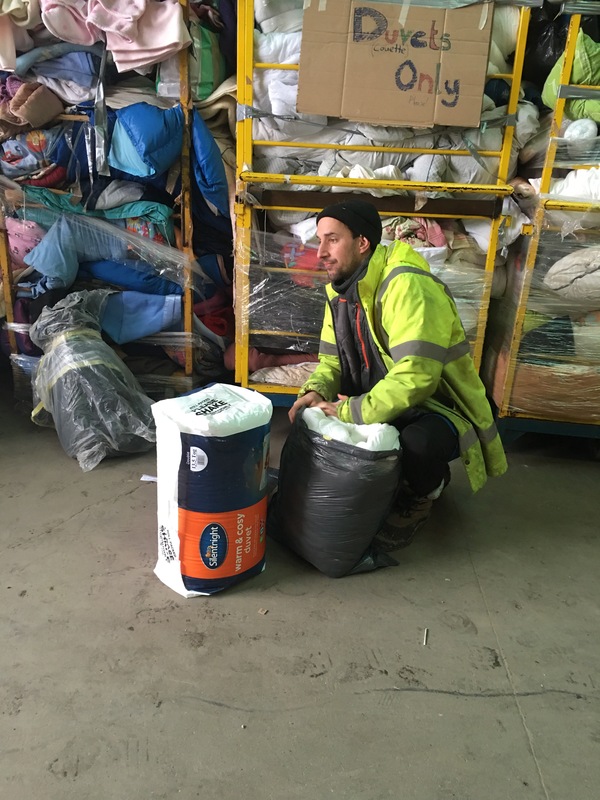 People from Stafford and across the country were putting their trust and confidence in us to ensure their generous donations reached those most in need. What follows is my reflections from the trip. I am certain that my fellow travellers would have similarities in their experiences, but our perspectives will also be very different. “It took me a long time not to judge myself through someone elses eyes. Nobody can make you feel inferior without your consent”. I wasn’t quite sure how I was feeling when I left. Delighted that it was happening, apprehensive about what I would see and unsure about how I would cope emotionally on a personal level. Having returned, I’m still not entirely sure how I feel 48 hours after arriving home. 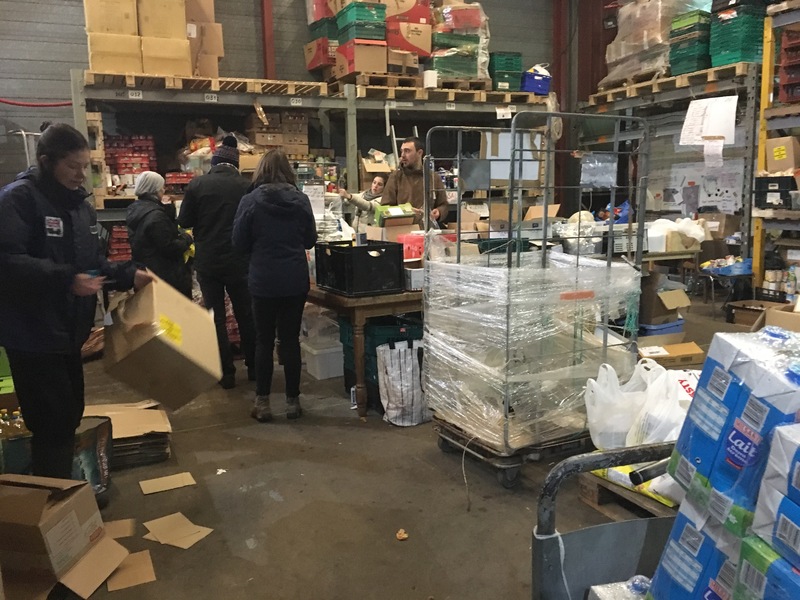 Food donations went to another side of the warehouse whilst the medical supplies we had brought with us had to be taken to another venue not far away. The operation is run like a well oiled military manoeuvre. It has to be. Goods unloaded, we all chipped in to help where we could. The longer term volunteers were clearly well versed in what needed to be done. Our small band of merry women and men helped sort clothes, chop ginger, garlic and onions (for the 2500 meals cooked daily in the kitchen). We helped make up the food bags that would be handed out to the refugees later that day. 1 kg of rice, sugar, salt, pulses, onions, fish and anything else that was available that day. It was good to see the donations we had brought all the way from Stafford being distributed whilst we were there. Bags are packed for 2 people and contain supplies that should last over 2 days. It was sad to see how much food people were being provided with to last them a couple of days. Coming from a country where almost 15 million tonnes of food is thrown away every year (and half of that comes from our homes) it was hard to imagine people with so little having to rely on the generosity of others to live. During the short time we were in the warehouse, I spoke to many people from England, Scotland, Wales, Germany, Italy and even Ecuador. Every one of them was there because they simply wanted to help. 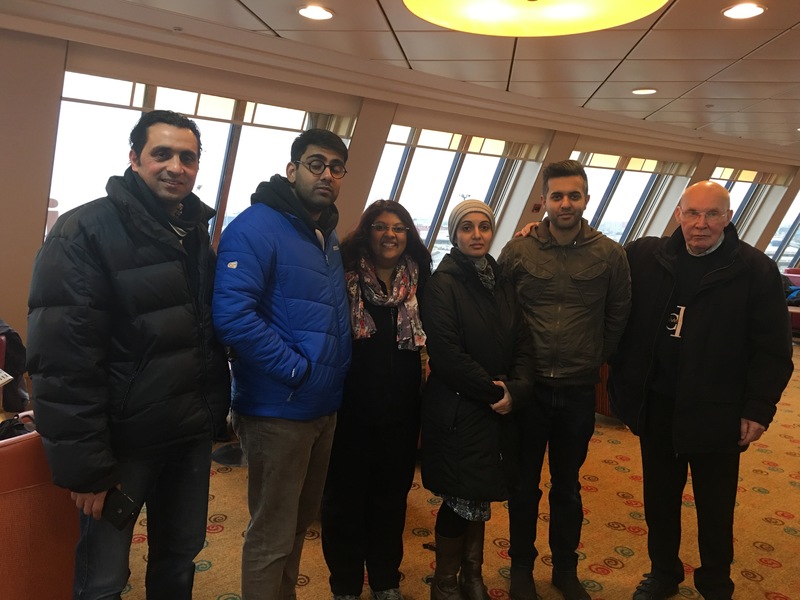 They had seen scenes on their television screens, their smart phones and on social media showing the extent of the humanitarian crisis and they wanted to ease the suffering in any way they could, however small. I met Barrie, a teacher from Wales. 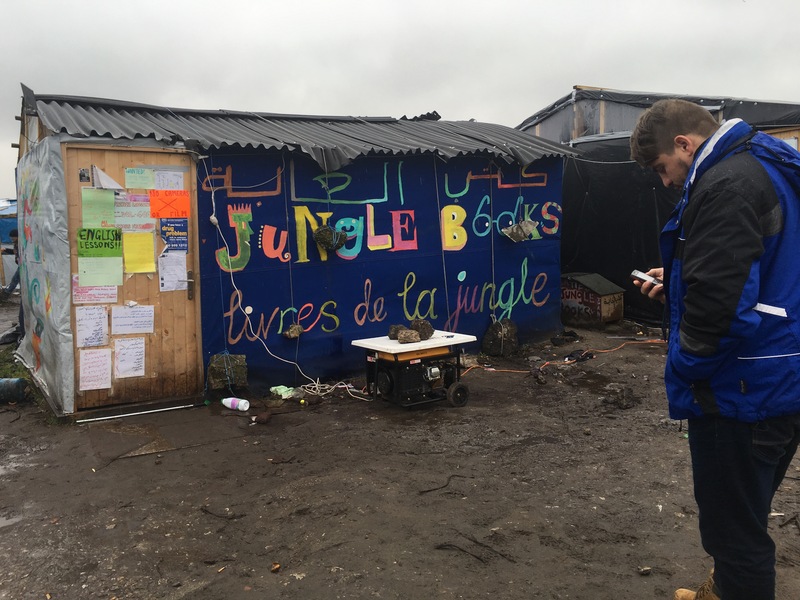 Having visited during the Christmas break to help, he returned back to Cardiff, handed in his notice and went back to Calais. You can see what Barrie has to say about the crisis here. I spoke to a student from Ecuador doing a Masters at the London School of Economics. He had a weekend free, so hopped on a bus and came over to Calais to help. He too was happy to share his feelings. It was heartwarming to see the number of young people who had come because they just wanted to DO something. Young people get a bad press wherever they live in the world. I saw a giant pot overflowing with young people of so many nationalities, who had more compassion than I had ever witnessed. People who jumped into their cars, hired mini vans, got on the train, because they could; so they did. I asked many people why they were there and the response were always the same. Because we want to help. We went into the refugee camp during the early afternoon. 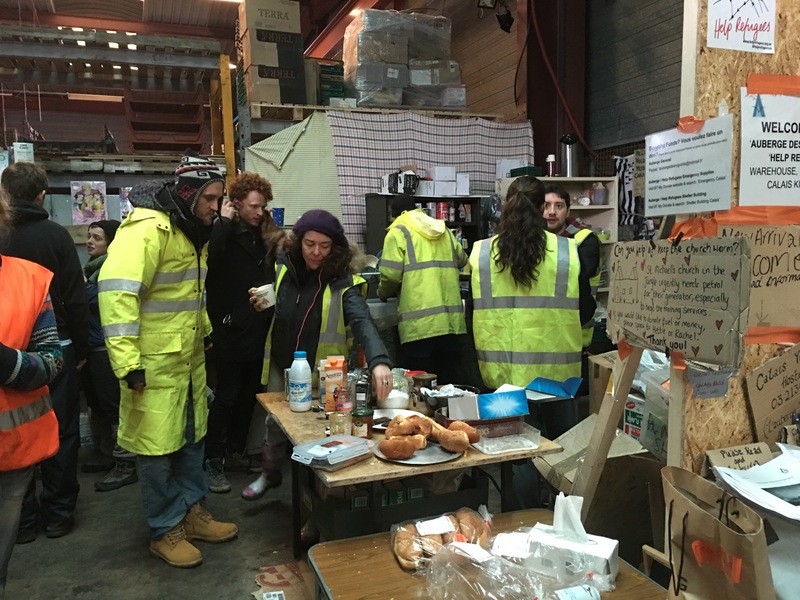 Having been at the warehouse and witnessed a hive of activity, cheerful faces and a real sense of camaraderie, the camp had an eerie, almost haunting feel about it. It was cold, it was muddy and there were very few people about. It resembled something you would expect to see in a third world country, or the townships I had seen in South Africa . The ‘homes’ didn’t even appear to be tents. More like frames covered in waterproof sheets, which didn’t appear to be doing a particularly good job, on a very wet and cold day. Occasionally you would see a small group of men running behind a van that had come for distributing duvets or clothes. I saw one woman during the short time I was there. Men were praying, heading to the makeshift churches. The people didn’t want to make eye contact. 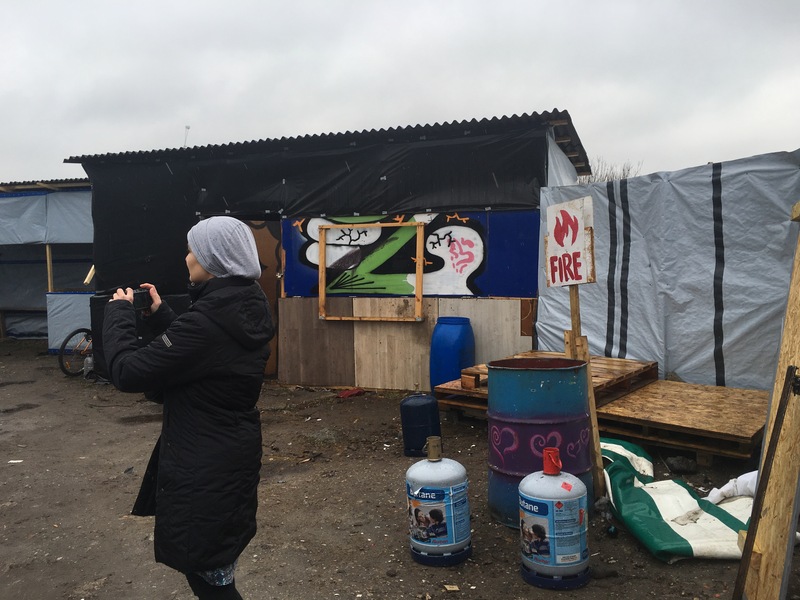 They were embarrassed and I felt uncomfortable Despite all the concerns that others had expressed to me about going into the camp I didn’t feel scared. I did however feel like I was invading their privacy in the worst possible way, bordering on voyeurism. The refugees would look at you with suspicion then quickly look away. One or two stopped and told us where they were from. I felt awkward. I felt like I was dehumanising these individuals by coming to ‘look’ at them and look at the degrading, humiliating circumstances they were having to endure. Did it achieve anything? No. Would i have been better employed remaining at the warehouse and giving hands on assistance, possibly. Would I go again to the camp? Yes. But what is needed is better organisation around the practical support that can be offered in the camp when volunteers go. 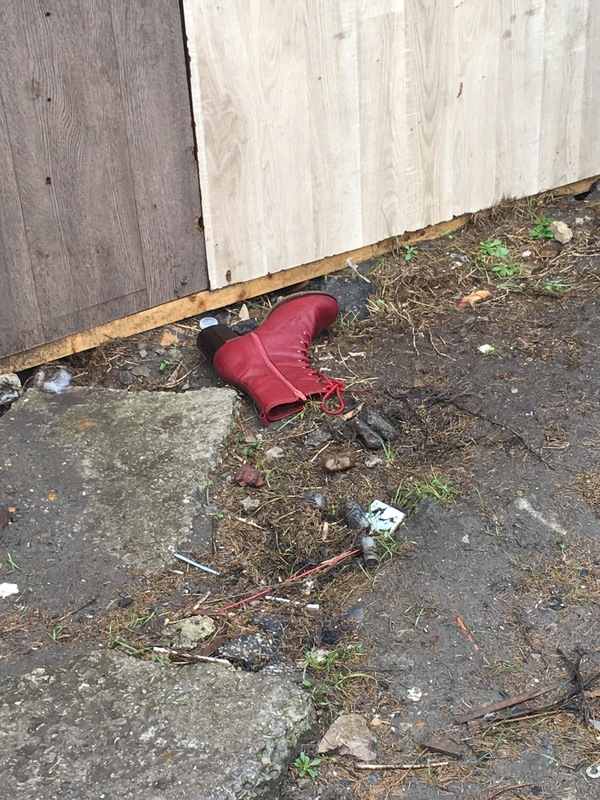 I do not believe that anyone should be able to just walk in off the street nor would I recommend anyone ever go to ‘take a look’. It’s upsetting for you and for the refugees. By doing so we are putting those most at risk at even greater risk. 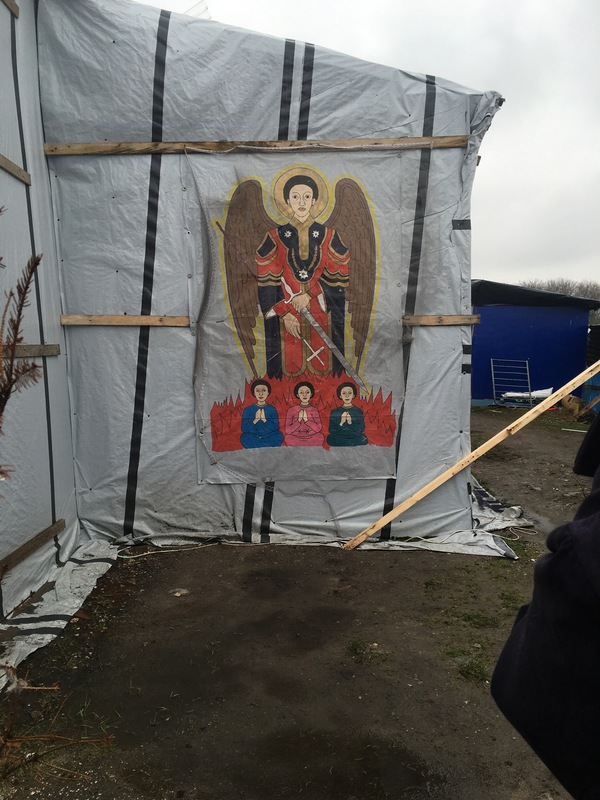 The report in The Independent gives a very good reason as to why the refugees are suspicious (http://www.independent.co.uk/news/world/europe/calais-jungle-refugees-targeted-by-armed-far-right-militia-in-brutal-campaign-of-violence-a6870816.html). How can they distinguish the compassionate from the abusers? How do they know whether the three men walking towards them are going to speak kindly to them, or try and break them not just physically but mentally and emotionally too. The camp has been referred to as a place more commonly associated with wilderness, animals, and savages. The word ‘jungle’ in Urdu means an area of forestry. I prefer to use the term The Village. Because with somewhere in the region of 6000 people living there, it is the size of a small English village, minus the quaint houses, the lawned gardens and 2 cars in the drive. In the Village I walked through there were just muddy lanes, mattresses covering the hardest of rocks, torn tents and desperate people. But like any English village, it had its church (or two), library, children’ play zones, and barbers. 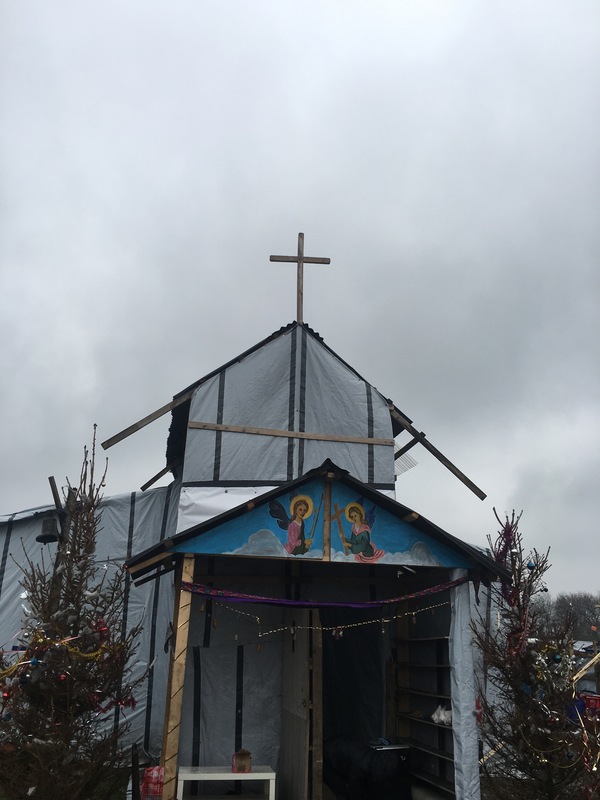 The migrants in Calais are a patchwork of global turmoil: the Syrians are there because they are desperate to start new lives away from the bombs raining down on Damascus. I was told by one volunteer about the doctors, engineers and architects that were there. He told me about the law student who was there because he was unable to complete his studies in Syria, after a bomb blew up his university. There were refugees from Sudan’s Darfur, Afghans fleeing their nation’s decade-long conflict, political asylum-seekers from Eritrea and Ethiopia. And there are children as young as ten, without parents, without guardians and open to all sorts of abuse and safeguarding issues. Desperate people who are simply seeking safety and security for themselves and for the people they love. Isn’t that something we all want? Someone said to me during the weekend that arguing with an idiot is like turning the light on for the blind. I am not going to embark on a political discussion about the how, why’s and where-fores of the current situation let alone why we find ourselves in this mess in the 21st century. Everyone has an opinion. The only factor we should be addressing is the humanitarian crisis. 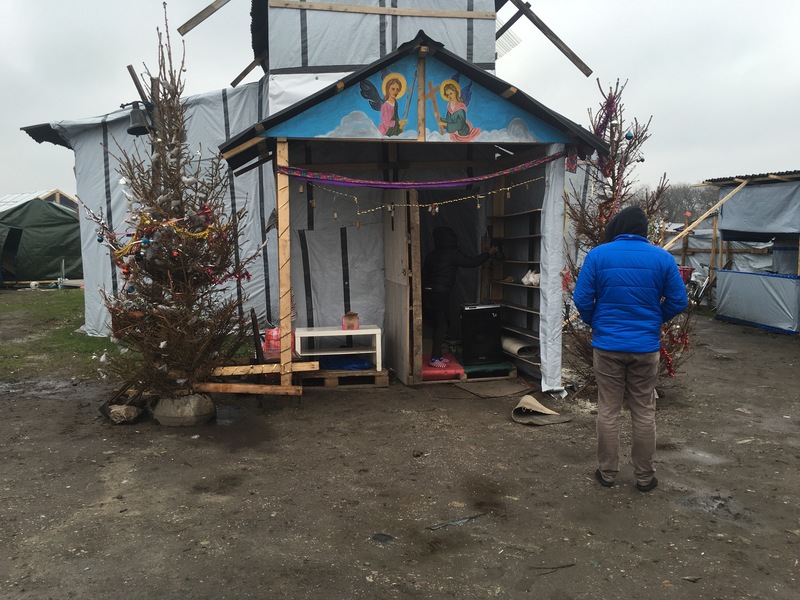 2016 – we have people who are hungry, cold, wet and desperate. I wonder what history will write about this period? ‘History is written by the winners’. I wonder who the winners are going to be? I know who the losers are.